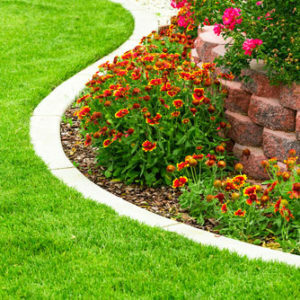 Skinnie Vinnie Lawn Care, Inc. has been providing Fernandina Beach sprinkler repair and maintenance services, lawn mowing and landscape care to off-island home owners and businesses for over 25 years. We are happy to announce that our sprinkler repair and maintenance service area has expanded! We now cover all of Fernandina Beach, some areas of North Jacksonville and even parts of St. Mary’s GA and Kingsland GA. Enjoy peace of mind in knowing your property is entrusted to an experienced team of lawn care experts with top of the line equipment. and parts of Kingsland, GA.
We provide grass mowing and professional lawn care services to a LIMITED AREA of Fernandina Beach off-island & surrounding communities. 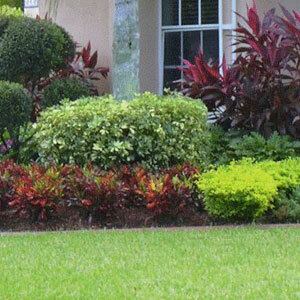 Florida lawns require special care that changes with every season. Call us today for a free quote and to learn how our team of lawn care professionals will keep your landscape looking its best all year round. We look forward to answering your questions and taking care of all of your residential and commercial property maintenance needs. We specialize in sprinkler head adjustments and cleaning, You can trust our lawn irrigation experts to handle your sprinkler system checkups, sprinkler piping repair, sprinkler valve repair and replacement, sprinkler system controller repair and replacement. We also repair and replace pop up sprinkler heads and rotors. Our crew members are reliable, experienced lawn care and irrigation servicing pros dedicated to keeping your lawn healthy all year round. We appreciate and respect our loyal customers whose referrals have secured our position as the premier provider of lawn and sprinkler services in the mainland Fernandina Beach area. 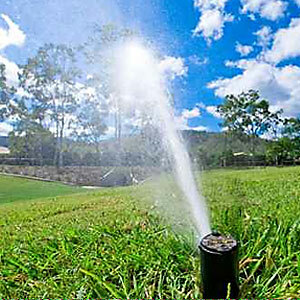 We also provide seasonal maintenance and sprinkler system adjustment checks for optimum coverage and water conservation. 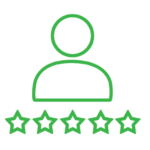 “I am very pleased with Vince Pfaff’s services. He always keeps our landscape in excellent condition and appearance. As a homeowner I have complete confidence and trust in his performance. In the years that he has been maintaining our landscape Vince has gone beyond what would normally be expected. I received a phone call one evening while out of town that there was a bad leak in my front yard. Thinking it might be a leak on the sprinkler system I contacted Vince. Vince got up from his dinner and went to my house, got knee deep in water and managed to shut off the leak. As it turned out the leak was not on the sprinkler system but on my water supply line. I am extremely grateful for his help in this matter and highly recommend Skinnie Vinnie. Lawncare to anyone.” —Don A. As mainland Fernandina Beach, Florida's favorite professional lawn care and sprinkler repair service, Skinnie Vinnie Lawn Care, Inc. has established a solid reputation built upon a commitment to excellence our customers have relied on since 1993. Owner Vince Pfaff and his team have dedicated over 25 years to exceeding customer expectations. We recognize the value of serving our community by providing superior quality, reliable, and ethical lawn care service. Skinnie Vinnie Lawncare, Inc. is committed to helping create the best community possible for our fellow residents and businesses. We are honored to support PROJECT EVERGREEN and GREENWARE FOR TROOPS - organizations that benefit United States service men and women. Copyright © 2019 Skinnie Vinnie Lawn Care, Inc.